Fitness apps are great motivators – for some people. For others, seeing the number of miles they’ve run during the week is no motivation to actually get up and run some more. 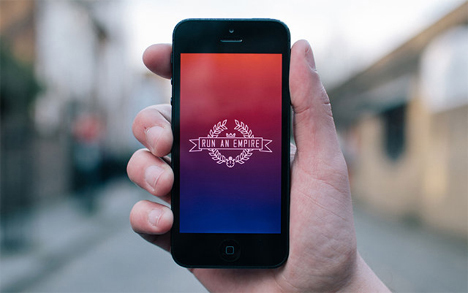 Run An Empire from PAN Studio is a new idea that its creators insist is not a fitness app. Rather, it is an “alternate reality” game that uses the actual layout of your neighborhood to motivate you nerd-style: with the promise of winning a game. Run An Empire is a strategy game wherein you “claim” your territory by walking or running – and then defend it from others who would dare to invade. 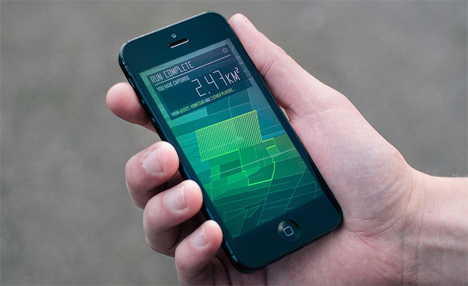 The map on your smartphone screen is actually a map of your real neighborhood. The app shoes your territory on a map; the more times you run or walk that route, the more you fortify your defenses against invaders. When other players venture into your territory, they may claim some of it, but you can win it back by being more active. 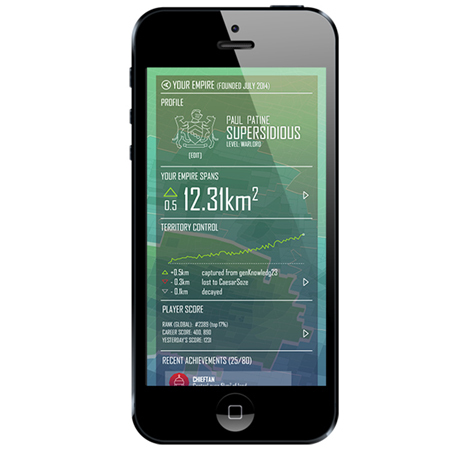 Your phone’s accelerometer measures your pace and keeps track of your route. Each time you get out and “defend” your territory from others, the stronger your defenses become and the harder other players have to work in order to grab any of it. The creators of Run An Empire have struck upon a very novel idea. Not only because this alternate reality game is so unusual and interesting, but because, as they say, an active 80 year old can win against a lazy 20-something. And cheating won’t get you ahead of your friends and neighbors – the app can detect when you’re in a car or riding a bike. The app’s Kickstarter project surpassed its funding goal far in advance of its deadline, proving that people really can be motivated by territoriality.